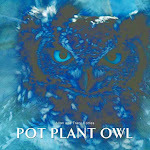 I am a Spotted Eagle Owl that nests in a pot plant on the balcony of a house in Johannesburg, South Africa. My nesting season is August - December. Day 54 and our chicks fledge! Day 45 - 16 Nov and aren't we well behaved? Day 43 and who's got a lead? 9 November and what a day for PPO! Day 36 and we have a winner! Timka and Merlin on the 'T-Box' as the owl box is now affectionately known. Because the first owlet to use the box for shelter was Teeny last year. This year, it is Timka who uses the owl box properly. So it seems that whoever has a name beginning with a 'T' uses this box. Did I tell you my name is Tracy? Good reasoning :). Sure wish Teeny would come to visit. Lol Tracy, I am pretty sure you will not fit into that box ;-) I love this picture! Thank you so much for posting it! thanks, they are so beautiful!!!! !